Are you a breastfeeding Mama? Have you heard of EverlyWell? Or DHA? DHA is a vital Omega 3 Fatty Acid that a baby needs to grow during their first 2 years of life! DHA is crucial in a child’s early development, in particular for their visual acuity and cognitive development. I had Will 4 months ago. He is the happiest little baby, always full of big smiles and laughter (and I’m not just saying that)!!! As a breast feeding mama to this little boy, I wanted to know I was doing all I could to do to get him all the nutrients he needed!! Often times, as a busy mom (especially when you also have a toddler at home) you neglect your diet, and it’s important to your health as well as your baby’s health, to keep up a diet rich in proteins, veggies and fruit! This test helped me with adding more DHA rich foods to my diet. Everlywell does at home testing, which only requires a few drops of breastmilk placed on a collection card for their labs to review. 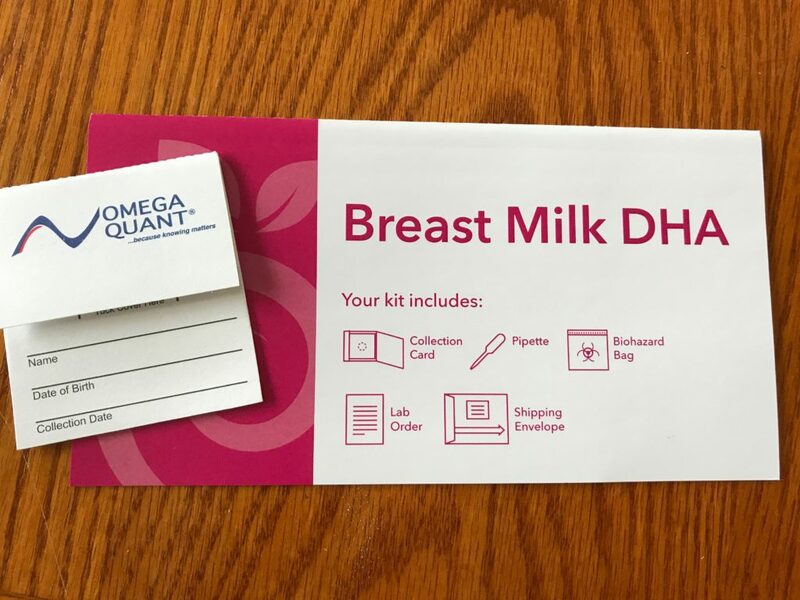 Measuring the DHA in your breastmilk can help you know if your dietary supply of DHA is within the recommended, healthy range for breastfeeding mothers and your baby! The test kit is shipped for free, with a pre paid return label. No waiting, no copays, with easy to understand results online in just a few days. 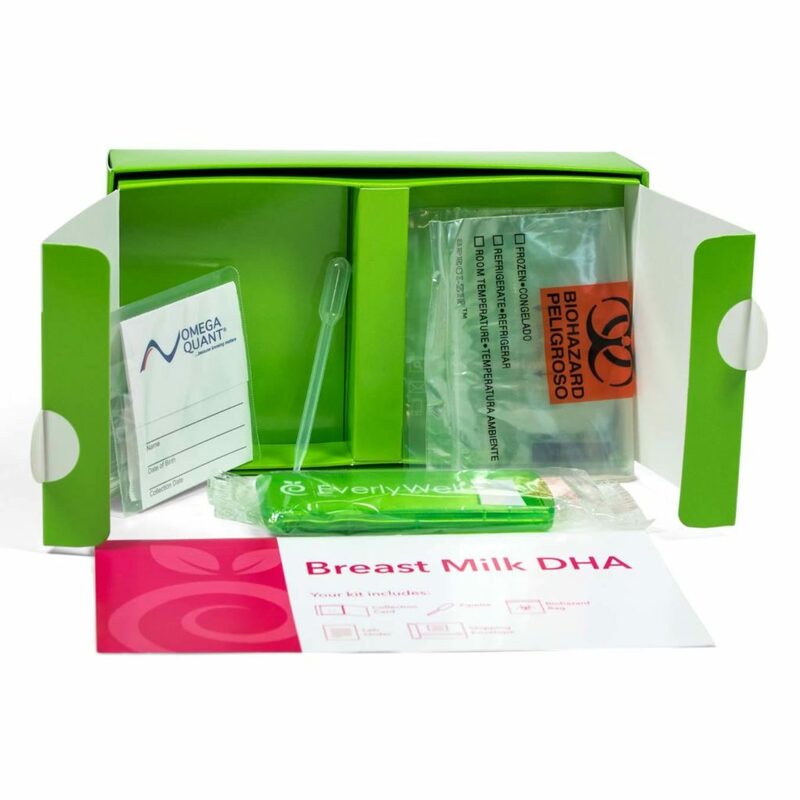 You use the dropper provided to add a few drops of your breastmilk to the sample card and letting it dry. Then you seal it and send it off! Easy peasy! When you get the results, they send you the link in your email, which you can also share with your doctor! I got mine in the mail quickly, and I sent it out the next day. I found out within a few quick days that I was in the medium range for my DHA levels. EverlyWell gave me great suggestions to eat more foods rich in DHA include fatty fish such as salmon, or tuna, cod, halibut, and eggs! My husband and I love salmon and cod, especially now that summer is here! One of our favorite summer recipes is fish tacos! Yum! I’m also going to talk to my doctor about talking an Omega 3 supplement. You can use this link to get your own test, and 15% off with the code VEGGIE15!! Generally, an FSA/HSA account will cover the costs of this at-home test (personal coverage varies for insurance). I really loved finding out what my DHA levels were from Everlywell, and I think that if you are a breastfeeding Mom at all concerned about your levels, this test is perfect to find out if you are eating the right foods for providing your baby with what he or she needs! Wow – this test sounds so easy and useful! I will def recommend to my mama friends! This is such a great idea, I will definitely use this when I have a baby! Will is so cute <3 I love the idea of at-home testing, especially for health matters that concern my baby. I just sent my sample in and am eagerly awaiting the results! 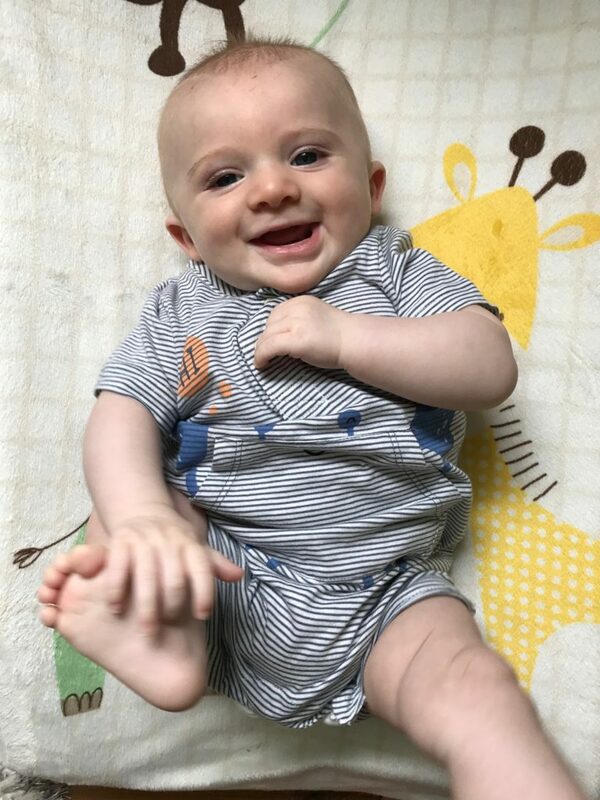 What a beautiful, smiling baby face Will has! Love that this simple at-home test can help keep that little angel happy and healthy!